Welcome to Super Metal and Company, Manufacturer and Supplier of Crushing Machines. The company was established in the year 1989. Our Client orientation, Team of skilled and expert personnel makes us stand apart from also rans. Timely deliveries, Competitive prices and State of the art infrastructure help us to achieve an unrivalled position in the industry. We offer a huge gamut of Jaw Plates, Cone Crusher and Metal Castings. Our Industrial Crushers are in huge demand across the global markets. 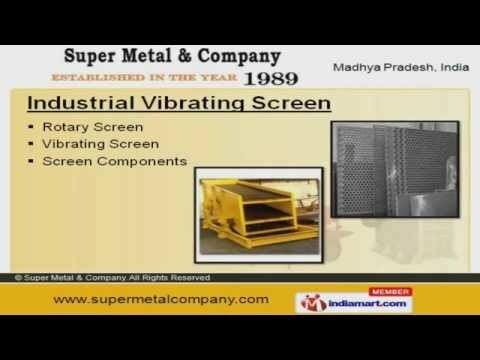 Industrial Vibrating Screens offered by us are highly efficient. Our Metal Castings are available at industry leading prices. We also provide Plants Accessories that are best in the industry amongst others. Along with that we offer Jaw Plates and Crusher Spare Parts that are extremely reliable.